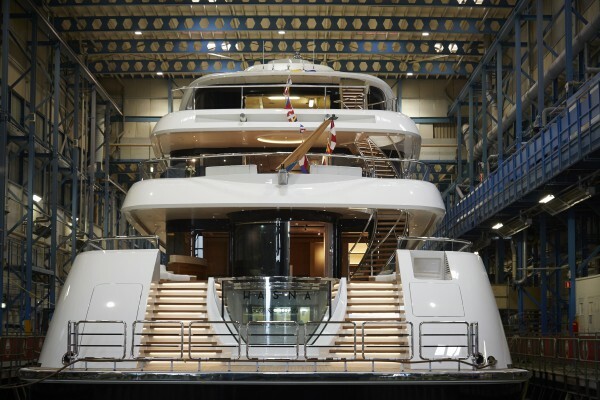 Leading Dutch superyacht shipyard Feadship has announced the launch of its latest superyacht, 73m motoryacht Hasna. Described by the shipyard as “a true family Feadship”, Hasna is the first yacht the shipyard has built for an Australian client. Due to the family orientation of the superyacht, her design and layout has been created with this in mind, while also ensuring that Hasna will be a good fit for the charter market. As a result, Hasna will blend a variety of ‘home-from-home’ entertainment features and beach style interior created together with RWD. 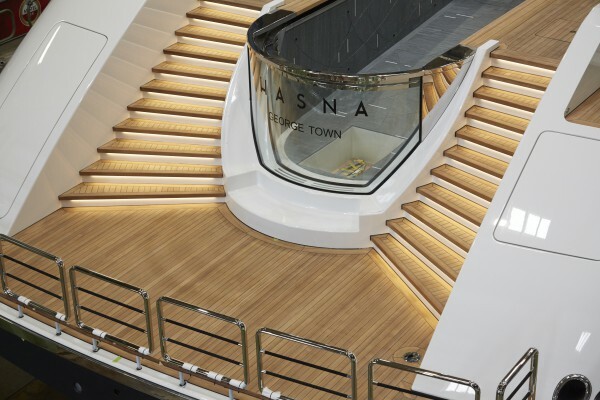 One of the innovative new ideas on Hasna includes the relocation of the engine room, which has been placed forward of the lower deck suites so that guests can have a direct connection with their beach club. This arrangement has also left adequate space for a deep 8m swimming pool on the aft deck. Verkuyl explains that the owner and his family were extremely involved in the build, and that the owner flew a number of his friends to the shipyard in order to share the experience of the construction process. “The brief was to create a timeless exterior profile with lots of subtle details, many of which are inspired by an automotive aesthetic,” explains Charlie Baker, project manager at RWD. “Hasna’s profile has an understated elegance interrupted by standout features such as the giant swimming pool on the aft main deck with its infinity waterfall and curved glass sections,” continues Baker. 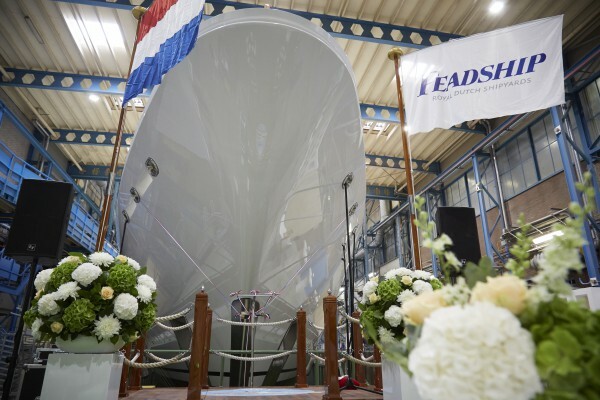 With 16 superyachts currently under construction, Feadship holds a 27.1 per cent stake in the Dutch global order book. 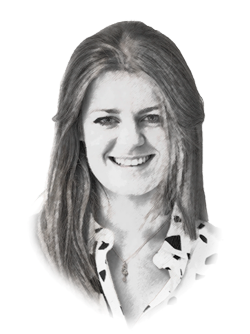 According to Superyacht Intelligence, by the end of the year, Feadship is predicted to have delivered a total of five superyachts with a combined LOA of 307.8m.